Are you moving to a competitive neighborhood? Are you trying to find the perfect rental among tons of other people? Finding the right rental for you and your family can be hard enough as it is, but add in a competitive market and it can be even trickier. 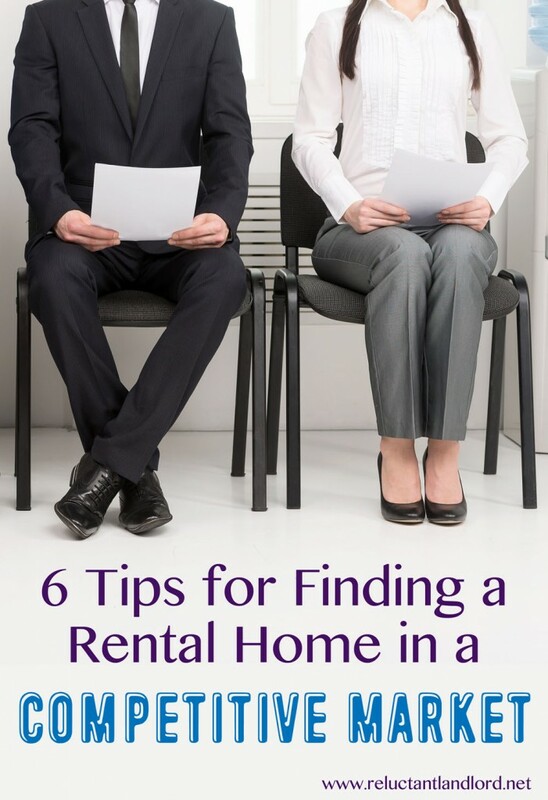 There are six main tips I have for finding the perfect rental for you in the midst of competition. 1. Be First – Follow up ASAP both in calling and seeing the property. If it looks perfect to you, it will look perfect to others. When a property is super popular, it is usually leased as first come first served! Get moving if you are serious. 2. Have Your Paperwork Ready – Bring your W2’s, paytstub, orders, and everything else you will need to be approved. This way when you find the perfect house, you don’t lose it because you are looking for something or can’t find a document. It also looks better too! 3. Don’t Wait – In some areas, thinking about a property is fine. In competitive markets, it means you lost the house. If the area is highly competitive and you like the house, you must get your application in ASAP. If you are approved, you must get your paperwork completed right away. Many landlords, including myself, have the policy that they don’t stop showing the house until ALL of the paperwork is completed and submitted. Therefore, don’t lose the house because someone else completed their paperwork first. I have been able to approve well qualified and really interested tenants in as little as three hours. 4. Create a Rapport – While landlords can’t discriminate per the fair housing laws, if there are multiple applicants, they do get to choose. Be sure to dress nicely and act appropriately with the landlord. Landlords tend to go with their gut and those who appeal to them, so strike up a conversation and create a connection. Give them a reason to pick you above someone else. 5. Pets – While this is not necessarily a deal breaker, if there are a lot of other applicants, having or not having pets can make a big difference. If you are pet owner looking to make your landlord pet friendly, check out this post. 6. Price – If you think the house is too good to be true, it probably is in the sense of multiple offers OR not the right condition. If the condition of the home is great, you might want to think about offering a little more in rent. While your offer may be more than the list price, if it is less than the area market you are still coming out on top. This is also a great way to rise above your competitors and get the house you really want in such a competitive market. Did I miss any other tricks to conquering a competitive market? What do you do to set yourself apart? Thanks for the tip about applying ASAP when looking to lease a property. My daughter will soon be moving to a new area for her work, and I’d like to help her find an apartment or small home to rent. She won’t be moving for a few months, but I’ll definitely follow your advice and begin the search today. Hope it helps!!! Good Luck! Thank you for pointing out that if you are looking in a competitive area and wait to make a move on a property you could lose it. My sister and I are wanting to rent a house together and need to find the right one. I’ll have to do some research and find the right house for us.